The leaders of the rival Koreas agreed at a historic summit last week on a set of reconciliation steps, including the suspension of propaganda broadcasts and other hostile acts along their tense border. South Korea has begun dismantling huge loudspeakers used to blare anti-Pyongyang broadcasts and K-pop songs from its border with North Korea. 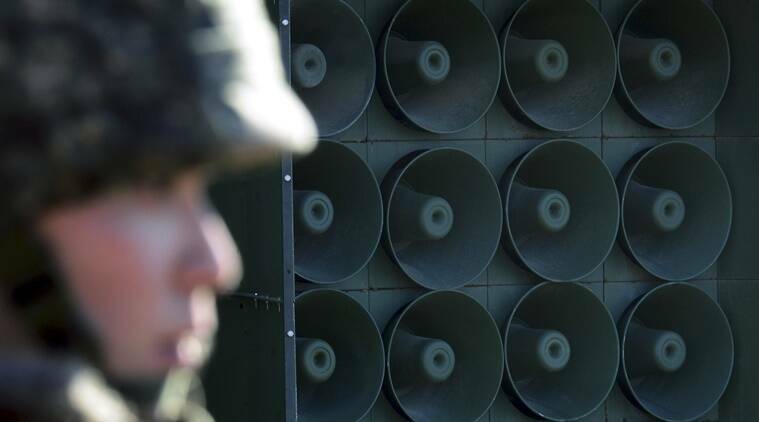 Seoul’s Defense Ministry says it began disassembling front-line loudspeakers on Tuesday before pulling them away from the border. South Korea’s Yonhap News Agency says Seoul detected signs that North Korea was taking similar steps on Tuesday. The Defense Ministry says it cannot confirm the report. The Koreas’ third-ever summit talks, held Friday at a border village, came ahead of a much-anticipated meeting between President Donald Trump and North Korean leader Kim Jong Un.